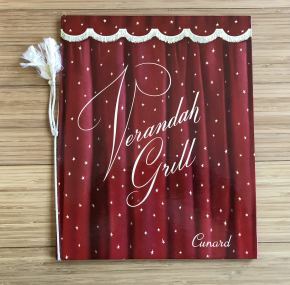 Hardback menu cover from the incomparable Verandah Grill on board the RMS Queen Mary. 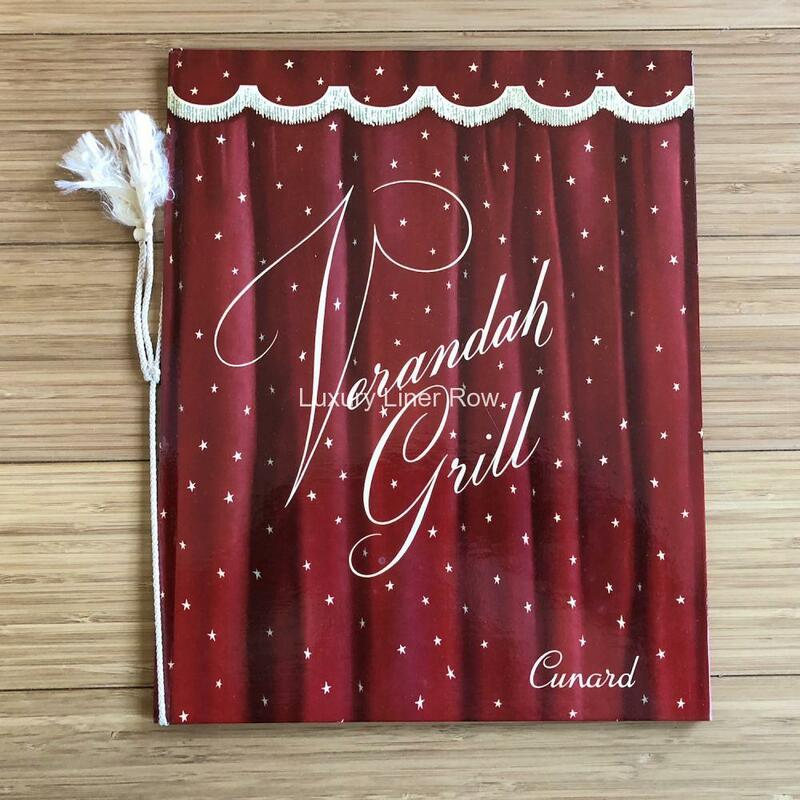 Can’t you just imagine being seated in this fantastic room and opening this menu expecting (and getting) the best meal of your life? In near-mint condition and not to often seen.